You have a great team in place to help you succeed with your business goals, but do you really get the best from your team? Communicating with them is a key to your success, and as the leader of the team, it is up to you to create an environment that makes communication effective. 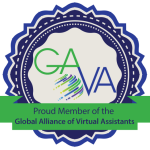 Virtual teams tend to have people who are independent and able to push forward on projects easily with minimal interaction. They may however, be geographically dispersed which can be challenging for effective communication. 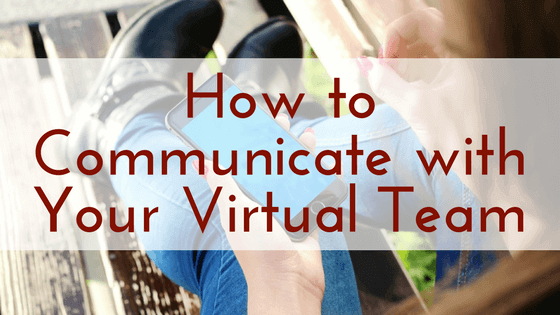 This virtual disconnect can be reduced in several ways. Here are some suggestions that may help you impact your virtual team’s performance levels. Using FaceTime, Skype, Google Hangouts, or other webcasting tools are all viable methods of having face-to-face meetings. With the availability of video on computers, and cell phones, communicating this way is easier than ever. Tools such as Slack, Google Hangouts, Dropbox or Google Drive allow immediate interaction with other team members. A task manager like Asana helps team members keep to their task list. Online calendaring is valuable when people need to know availabilities. There are many such applications available to your team. You need to choose what works best for your needs. While not as immediate as other methods, email is still a staple in your communication plan. It is especially important when communicating a lot of information that you do not want overlooked. Project plans, changes in tasks and developmental objectives are important to have documented. (Note: this can also be accomplished with Dropbox and Google Drive, however personal interaction provided by email is sometimes beneficial to projects.) One caution-if your communication is causing a flurry of email among the team, then you are defeating the purpose. This is the time to have a video or telephone conference instead. Otherwise, your team is wasting time when then could be resolving issues by working together. Remember, your communication format should save time and increase productivity. Whatever you select for your communication technologies, you still need to develop a plan to make your team communication open, easy and connected. Establish some rules or guidelines for your team to follow to ensure that good communication is the norm for your team. Set a scheduled time to “meet” and check-in with your team both individually and collectively with the whole team. It’s important to create an atmosphere that enables the clarification of tasks, projects, issues and successes. This helps to build a good rhythm with team members. We have such a spot on our Slack app that allows any team member to “chat.” The interaction in this location is not business related and allows team members to interact at a different level. This “social networking” provides teams with a way to get to know each other outside of straight business activities and allows them to gain a closeness. Working in a virtual environment does not allow you to see all the work a team member might be doing. In a regular office, people often look busy but often are doing “busywork”. In a virtual office you need to manage the results that you get. You will know right away if someone on your team is an independent worker by getting results that help your business. If you want to have great communication with your team, you need to model the desired behavior yourself. After all, why should the team act a certain way if the team leader does not? Every time that you meet with team members, make it an opportunity to coach them on communication. Finally, set boundaries for yourself. Let your team know when you are not available, on vacation or have meeting conflicts. Give them advance warning and expect them to do the same. Communication is a responsibility that everyone on the team can share.